Roll with a Family Tradition! 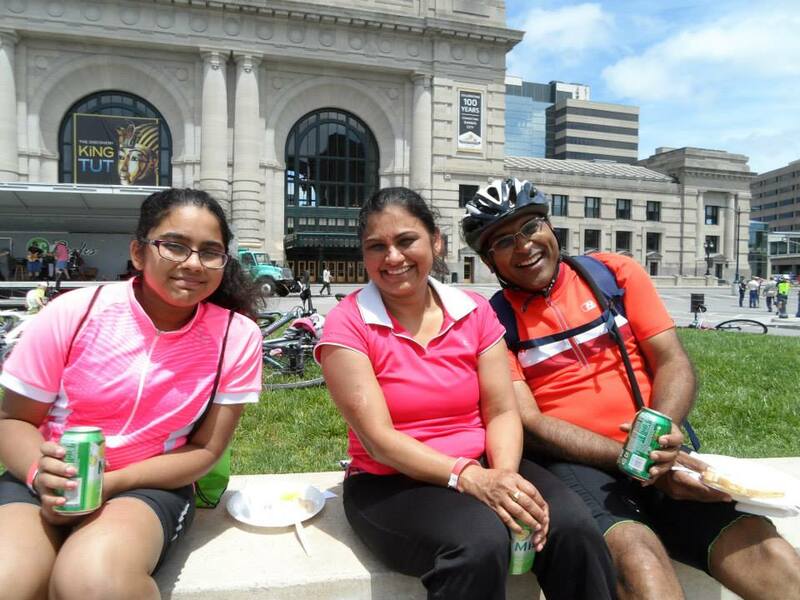 Don’t miss Ride the Fountains on Sunday, June 12, 2016! It’s one of the best ways to see Kansas City’s beautiful fountains and have fun with your friends. After the ride, celebrate with a party at Washington Square Park! City of Fountains Bicycle Tour is a family-friendly bicycle tour now starting and finishing at the beautiful grounds of the Washington Square Park (just east of Union Station). You’ll see many of Kansas City’s historic fountains and other landmarks such as the classic Kansas City Museum, Country Club Plaza, Swope Park, Ward Parkway, J.C. Nichols Fountain, Liberty Memorial, and scenic Cliff Drive to name a few. 2016 we are featuring a new route and a Metric Century (62 mile) option! You will not want to miss the after party of live music and chef prepared food! Kick back and have a beer or glass of wine too! Kansas City has more than 200 fountains — only Rome, Italy has more! Whether beginner or expert, one of these tours will fit your riding style: 62 miles, 50 miles, 35 miles or a relaxed 22 mile tour. The Cycling KC Ride Marshals will also be on hand with tips and help for new cyclists. Please be considerate of pedestrians and yield to them. We are all ambassadors for safe cycling. Check-in and walk-up registration are in Washington Square Park. Look for our tents in Washington Square Park where you’ll enjoy a great view of KC landmarks. This is the Start/Finish so lunch is served here as well. • Enjoy a great chef prepared from 11am-2pm, live music from J-Love Band and a refreshing glass of wine or beer. Be wary of railroad and streetcar tracks. Cross them with your wheels perpendicular to the tracks; otherwise they can grab a wheel and pull you down, plus they’re slippery when wet. Do not block traffic of impact the streetcar. Obey all laws and ride single file on busier streets and no more than two abreast on others, and only where it’s safe and lawful to do so. Be sure to scan and signal before changing lanes or making a turn. Ride Marshals will be on hand to assist and answer questions and familiarize you with safe riding practices. 62-mile route begins at 7:30 a.m.
22/35-mile route begins at 8:30 a.m. This route consists of the 22 mile south loop with an optional 13 mile loop around cliff drive and back through downtown on Grand Street. 10-mile Group Riding Clinic will begin at 9:00 a.m. Along the way, you’ll be refreshed by those always-great CKC volunteers with plenty of cold water, fresh fruit, and goodies to make this the bicycle ride of the year! And to make sure your ride is trouble-free, we’ll have roving support. After the ride, join the party at Washington Square Park with a gorgeous view of the city! There will be food, music and more from 11:30am to 2pm!